Transform your manual wheelchair into an electric wheelchair! 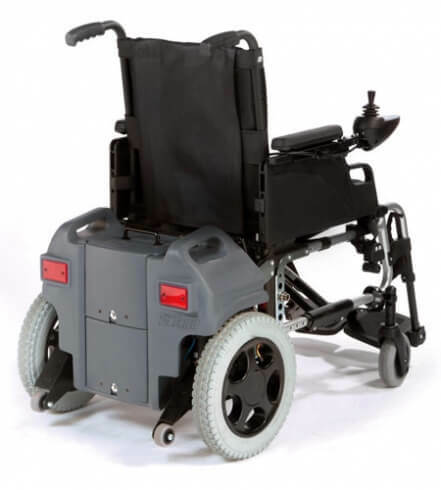 Thanks to its clever all-in-one removable power module, the F16 power transforms your manual wheelchair into an electric powered wheelchair whenever and wherever you want in seconds - all without the need for tools or strenuous effort. 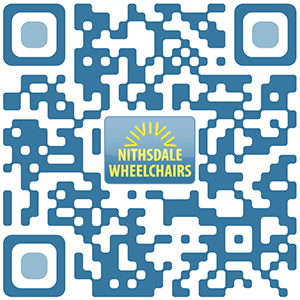 The lightweight wheelchair and its compact power module are easily dismantled so that it can fit neatly in the back of the car. 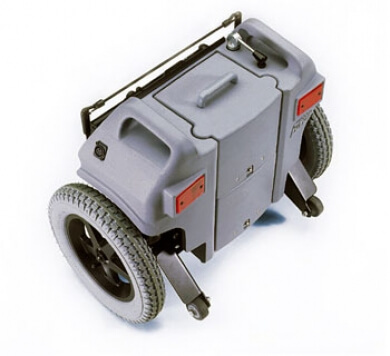 The F16 power add-on easily disassembles and packs neatly away for stowage. 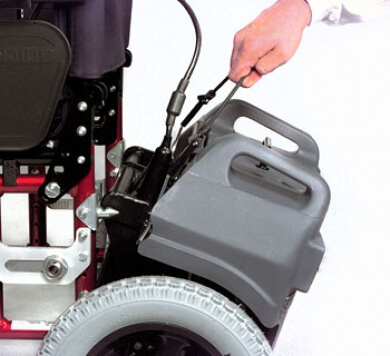 The conveniently located handles on the power base and on the (removable) batteries ensure you won’t struggle getting it in and out of the car. 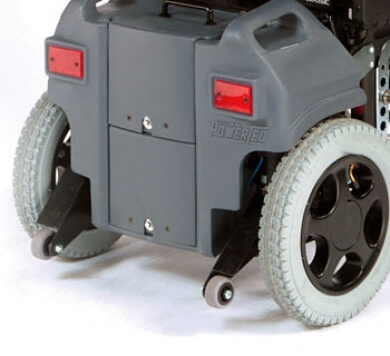 Plus, the F16 can be just as easily re-assembled to your manual wheelchair in a few simple steps, giving you assisted propulsion whenever you need it.